This exciting variation of the classic EHX Big Muff features a Tone Wicker switch, offering new tonal possibilities for the modern guitarist.. This exciting variation of the classic EHX Big Muff features a Tone Wicker switch, offering new tonal possibilities for the modern guitarist. 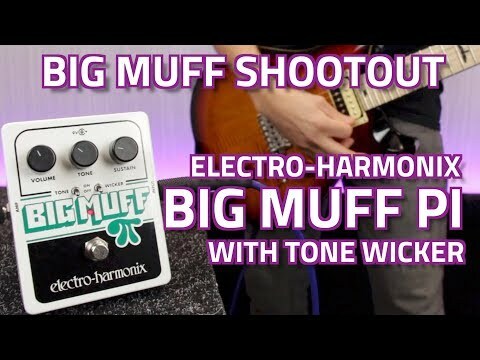 Three integrated high-frequency filters open up the Electro Harmonix Big Muff for raspy, sustaining distortion with more high frequency bite or flick on the Tone switch to bypass the tone control for unabated tonal slam. Perfect for anyone who needs extended top end snap with harsher overtones for devastating tonal effect.